Due to the high volume of clients on our waiting list, Freedom Service Dogs is not accepting new applications for assistance dogs of any kind at this time. Our goal is to serve clients currently on our waiting list in a timely manner, and we apologize for any inconvenience this may cause to those seeking our services. For more information about applying for an assistance dog at a later date, please review our FAQs. Thank you for your interest, and please check our website for future updates. Client-dog teams consist of a person living with a disability and a highly trained dog. Our clients live with disabilities like autism, traumatic brain injury (TBI), multiple sclerosis (MS), muscular dystrophy (MD), Down syndrome, cerebral palsy (CP), spinal cord injuries, and more. We also serve veterans with post-traumatic stress (PTS); however, we do not provide service dogs for non-military civilians diagnosed with PTS. Professionally trained service dogs can assist their human partners with a variety of tasks, such as retrieving and carrying objects, opening and closing doors, operating lights, pushing 911 and medical alert buttons, assisting with mobility, and other specialized tasks needed by the client. Service dogs typically accompany their human partners to public places, including stores, the airport, work, school, and restaurants. FSD provides ongoing lifetime support and hands-on assistance to all of our client-dog teams—at no charge. A third party service dog is a service dog for clients under the age of 16 or clients who are unable to handle a dog in public without assistance from a guardian or caregiver. Third party service dogs have full public access provided a parent or guardian is present at all times when in public. A skilled companion dog is trained in basic obedience skills and some custom tasks to assist a client with a disability in the home. Skilled companion dogs are not granted public access. A third-party skilled companion dog is a skilled companion dog for clients under the age of 16 or clients who are unable to handle a dog in the home without assistance. Third-party skilled companion dogs are not granted public access. FSD provides skilled service dogs to children challenged by disabilities, primarily autism spectrum disorder and developmental disabilities. The Disco’s Dogs program at Freedom Service Dogs of America provides specially trained service dogs and skilled companion dogs for individuals age five and up with autism-related differences. A public access service dog will be matched with you to align your family’s needs with the dog’s temperament. You must attend 12 weeks of training, including basic training, task training, and public access training to help you and your dog navigate common public scenarios and understand ADA rules. Between class time and your own outings, you must log 120 collaborative relationship and training hours. Thirty (30) of those hours must occur in public settings. Upon completion of all three courses, you will graduate with other service dog teams in other FSD programs. A skilled companion dog will be matched with you to align your family’s needs with the dog’s temperament. Skilled companion dogs do not have public access and require a mandatory 10-week training course with our service dog trainers. FSD partners with the United States Department of Veterans Affairs (VA) to help returning military personnel transition back to civilian life using highly specialized service dogs. Operation Freedom was developed to help returning war veterans and military personnel transition from active duty and combat to civilian life. Many military personnel and veterans face challenges like PTS, depression, immobility, and inactivity, sometimes resulting in destructive consequences, including homelessness, crime, drugs, alcohol, and even suicide. Operation Freedom works alongside the services of local VA medical centers, community groups, and on-base transition programs to combat these challenges using highly specialized service dogs that give veterans independence and confidence. 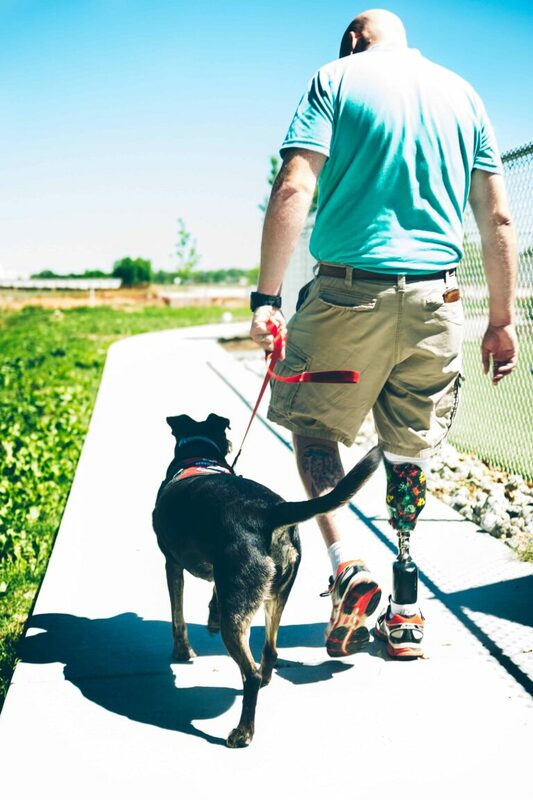 Our service dogs can help veterans with a multitude of everyday tasks, like picking up dropped items and mobility assistance, as well as mental and emotional support. FSD empowers veterans to train service dogs. In February 2017, Freedom Service Dogs of America initiated Operation Full Circle (OFC), a program focused on increasing the benefits that service dogs provide to veterans. This innovative program uses a new model to train and place service dogs. Over the course of the year, two groups of five veterans learn how to train service dogs and how to use these new skills to help other veterans in need. The seed money for this pilot project was created from legislation sponsored by Colorado State Representative Landgraf. 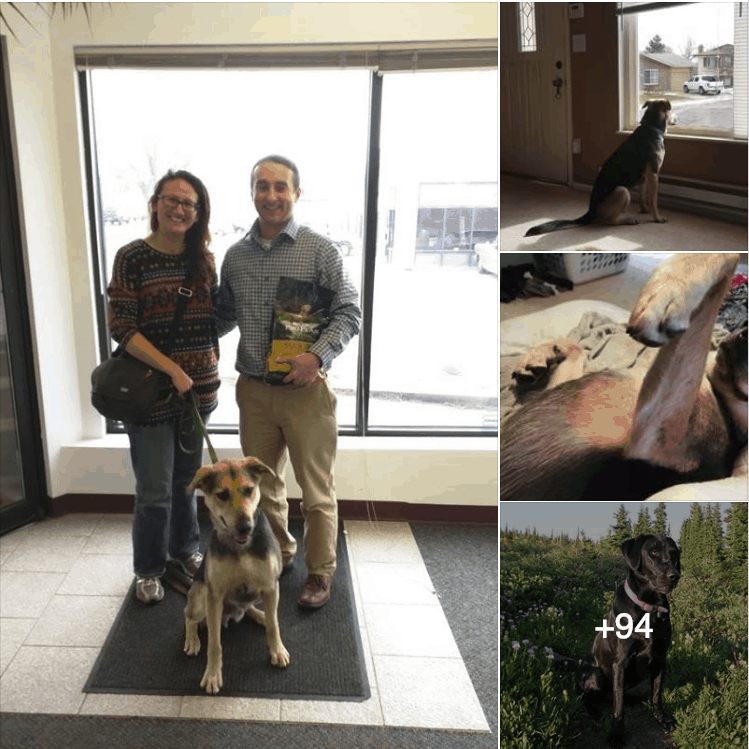 FSD is partnering with the Colorado Department of Human Services, Socrates Foundation, Prison Trained K-9 Companion Program, University of Denver Animal Assisted Social Work program, and others to bring this unique program to fruition. 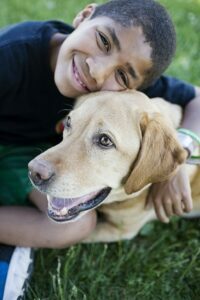 We are proud to offer our therapeutic Pawsitive Connection (PC) program specialized to support communities on the autism spectrum and with developmental disabilities. As part of FSD’s mission to provide highly skilled assistance dogs to individuals with disabilities, we believe in supporting not only the dogs’ development, but also the development of specialized populations in our local community. In that spirit, FSD offers Pawsitive Connection (PC), a therapeutic program designed to support children and youth on the autism spectrum and with other developmental or intellectual disabilities. 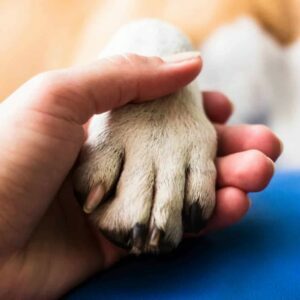 Studies have demonstrated the many benefits of human-animal interaction, and FSD shares that benefit through our Pawsitive Connection program. 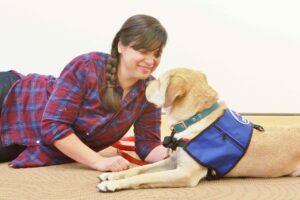 This innovative program combines therapeutic group discussions with the opportunity for participants to work with our service dogs in training, utilizing specially designed animal-assisted activities meant to stimulate learning and growth. During the program, participants explore a variety of topics, including empathy, social interactions, communication skills, empowerment, confidence, emotional recognition and regulation, and more. Participants meet with FSD staff, assisted by interns from the University of Denver Graduate School of Social Work, once a week for six to 10 weeks, depending on the group’s needs. Sessions take place in participating schools’ special-education classrooms or on location at our community partner agencies. PC participants range in age from elementary school to young adult, and we provide customized curriculums to meet the needs of different ages and settings. In the spring of 2019, the Kathy and Jerry Wood Foundation made a $20,000 grant to FSD to help our PC program bring the benefits of animal-human interaction to children and young adults our community. This generous grant will assist with the costs of program staff, equipment, educational supplies, transportation, school outreach, printing costs, professional development, and evaluation. FSD partners with the University of Denver Institute for Human-Animal Connection to provide professional therapy dogs. Due to the high volume of clients on our waiting list, Freedom Service Dogs is not accepting new applications for assistance dogs of any kind at this time. Our goal is to serve clients currently on our waiting list in a timely manner, and we apologize for any inconvenience this may cause to those seeking our services. At this time, we apologize that we are unable to respond to phone or email inquiries. Thank you for your interest, and please check our website for future updates. The Professional Therapy Dog program is an opportunity for Freedom Service Dogs to pair shelter dogs with professionals providing therapeutic support in places like assisted living communities, residential treatment centers, AIDS counseling programs, and FSD’s Pawsitive Connection program. It is a common misconception that a therapy dog does “therapy” for its client. Rather, the therapy dog is a therapeutic partner in a professional setting. FSD places professional therapy dogs with students seeking a graduate degree from the University of Denver in the Animal-Assisted Social Work program, as well as professionals in the community who are already practicing therapists, psychologists, occupational therapists, or social workers. To qualify for a therapy dog, you must live within a 300 mile radius of our facility and be a professional therapist, social worker, psychologist, psychiatrist, occupational therapist, or social worker, or be seeking a graduate degree in one of those fields. Please note: we cannot train or certify your pet dog as a therapy dog. FSD will keep your entire application confidential. Your video/photo and written application will become the property of Freedom Service Dogs, Inc. A completed background check (Part B of the application) is required in order for us to schedule an interview. A conviction will not necessarily prevent you from receiving a dog. We train dogs for persons with mobility disabilities, veterans with PTS or traumatic brain injury, and children (5 years and older) and adults on the autism spectrum or with other neurocognitive disabilities. Complete the FSD service dog application. Interview with FSD after you submit a completed application. FSD determines your eligibility. If accepted, you enter a wait period of approximately 12–18 months or sometimes longer depending on your needs. Travel to FSD to meet your dog (this is required no matter where you live) and determine your compatibility with the dog. Return to FSD for a two-week placement class that teaches you how to work with your dog. On the third week, your trainer will come work with you in your home and community, regardless of where you live. Start by downloading our application. Once you have completed the application and submitted it to us, we will schedule an interview with you. If you live in Colorado, we will ask you to come to our facility for the interview. If you live out of state, we will conduct the interview via Skype. Once you are accepted, the wait time is typically 12–18 months. However, if you are looking for a dog for brace and balance, have specific breed or size requirements, or need a dog to perform particularly challenging or complex tasks, the wait time can be longer. When we think we have a dog for you, we will ask you to come to our facility to meet the dog. This travel is required. If you and your dog are compatible, then we prepare for placement class. A two-week placement class takes place typically about a month after matching. All travel and lodging expenses will be your responsibility. The placement class will teach you how to work with your dog and go on outings in public so you can get used to what it feels like to manage a dog in a public space. After the two-week class and graduation, your trainer will come and work with you in your home or community for a third week, regardless of where you live. After that, we offer lifetime support for all of our dogs to help you address any issues that arise after graduation. We do not charge a fee for our dogs. If you live out of state, all travel and lodging expenses will be your responsibility. No, but you must be financially stable enough to provide for your dog’s needs. This includes daily needs like food and treats, as well as regular veterinary visits and emergency medical care. Once we have interviewed and accepted you, the wait time is currently 18-24 months. Unfortunately, no. Traveling to our facility to meet a dog and attending the two-week placement class at our facility are both requirements of our program. We are happy to discuss your options with you and recommend service dog agencies that may be closer to where you live. All of our dogs come from rescues and shelters in Colorado and surrounding states, so we work with many different breeds, including mixed-breed dogs. All of our dogs are 45 pounds or larger and between 1 and 2 years old. You can give us input on the type of dog you would prefer, but there is no way for us to guarantee you a specific breed of dog. If you are very particular about what type of dog you want, the wait time could increase dramatically. No, we cannot train dogs that are currently owned by individuals. It is a liability issue for the organization to have your personal dog at our facility for seven to 12 months. No, we cannot accept dogs to train for specific individuals. Our selection process is extremely rigorous, and the likelihood of a dog you choose meeting our criteria is slim. Additionally, accepting a dog that is slated for you specifically would allow you to bypass the waitlist and receive a dog from us long before others who have been waiting for a dog. Yes, but we have an age minimum of 5 years old. Your child is welcome to start the application process when they are 10.5 years old. In most cases, no. For safety reasons (both for the dog and the child), we cannot allow a child to be in control of a dog in a public place without a parent or guardian present. No, we do not allow tethering. Although our dogs are extremely well trained, there are always circumstances where a dog can bolt (from fear or distraction), presenting a very unsafe situation for the child. 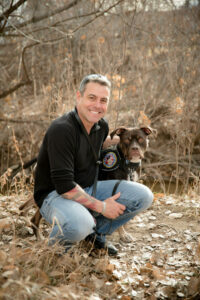 Do you train dogs for PTSD for non-veteran civilians? No. The only mental health diagnosis we train for is veterans with PTSD. If depression or anxiety are a part of your physical disability, we will not disqualify you; however, if you have a significant or severe mental health disorder, it may disqualify you from getting a dog from us. No. Technically under the Americans with Disabilities Act, emotional support dogs do not have public access as they have not been trained specifically for three physical tasks to mitigate a disability. We do train therapy dogs; however, there are misconceptions about what a therapy dog actually is. 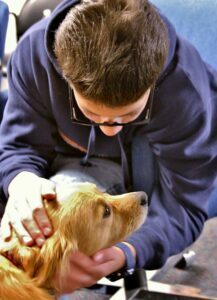 Therapy dogs are trained to work with a professional therapist (psychiatrist, psychologist, occupational therapist, etc.) to act as a therapeutic partner in their practice. A therapy dog is not meant to provide “therapy” to one single individual. We train professional therapy dogs and facility dogs for working professionals, as well as students pursuing a degree in some type of therapeutic field. Do you train medical alert (seizure, diabetic, allergy, stroke), seeing eye, or hearing dogs? No, we do not train any type of medical alert dogs, dogs for the blind, or dogs for the deaf. Unfortunately, we cannot make an exception. Training dogs for other types of service requires a different set of training skills that we are not set up to provide. Not necessarily. We consider each applicant’s criminal history on a case-by-case basis. If you have a history of animal abuse or violent behavior toward people, it may disqualify you as that is a safety concern for both our dogs and our staff. Yes, you are still welcome to apply; however, we ask that applicants with a history of drug or alcohol abuse show at least one year of sobriety before we will place them on the waitlist. No, you do not need to get rid of any pets you currently own. We will find a dog for you that fits the current makeup of your household. We do ask that you not add any new pets to your home after you have been accepted. No. Getting a service dog is a long, arduous process filled with challenges. If someone is not 100 percent dedicated to the process, they will not make a successful client-dog team. It costs us between $25,000 and $30,000 to train and place a service dog. All of our funding comes from donations. Most of this funding comes from private donations, and some comes from non-government grants. Can you mail me an application for an assistance dog? Our application is now exclusively online. If you do not have access to a computer, or if using a computer is challenging for you, we recommend working with a family member, friend, neighbor, caseworker, or medical provider to assist you in completing the application. 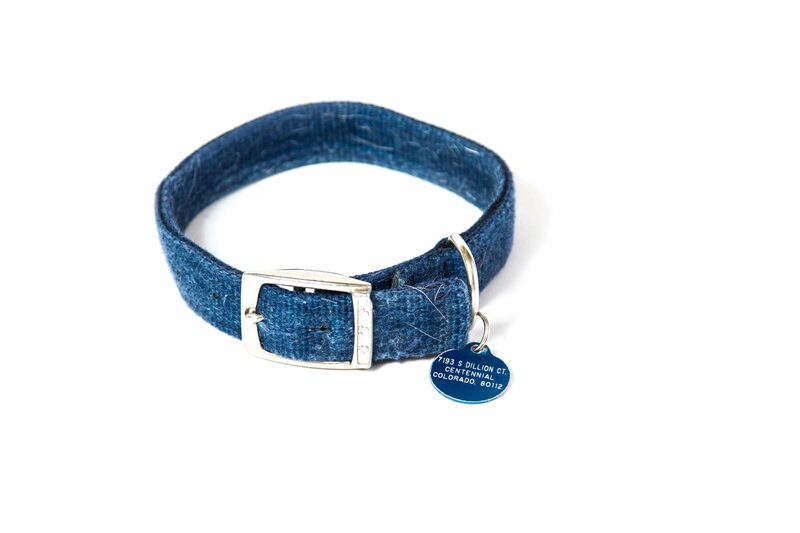 Our dogs are primarily sourced from shelter and rescue groups in Colorado and beyond. We are continually expanding our shelter/rescue partners and also accept donated puppies and dogs from breeders that meet our criteria. Freedom Service Dogs has implemented a Puppy-Raising Pilot Project with the Prison Trained K-9 Companion Program at the Trinidad Correctional Facility in Trinidad, Colo.
Puppies are sourced from shelters, rescues, and private donations—often as a diversion from going to shelters/rescue groups. If approached by a reputable breeder, we thoroughly vet the breeder and evaluate the dogs’ health tests prior to accepting puppy donations. Puppies between the ages of 8 weeks and 10 months are accepted in the pilot project. At any one time, the maximum number of puppies in the project is 24. A PennHIP test is performed at 4 months of age (or upon donation) up to 10 months of age. A PennHIP test evaluates the dog’s probability of developing hip dysplasia. If the test indicates a 55% or higher chance of developing hip dysplasia, the puppy will become available for adoption. Volunteers take puppies on outings in the public to expose the dogs to a variety of stimuli. Inmates training FSD puppies follow a curriculum aimed at meeting a dog’s needs for positive growth through each stage of a dog’s development. Inmates provide written reports advising our professional training staff of a puppy’s development. Professional training staff evaluate a puppy’s progress in person on a monthly basis. An evaluation of the Puppy-Raising Pilot Project will be completed in August 2019. If successful, we will roll out a volunteer puppy-raising program to supplement the prison program. When dogs first arrive at FSD, they are housed in our intake area for two weeks so we can evaluate their health and make sure they don’t have illnesses or diseases. During this time, radiographs of their joints are taken, and they receive an ophthalmic exam to ensure they meet the medical evaluation standards of Assistance Dogs International (ADI). If anything concerning is present on the radiographs (e.g., hip dysplasia, arthritis, etc.) that would prohibit the dog from being a service dog candidate, the dog is released from the service dog training program. However, depending on the severity of the condition and prognosis, the dog may be considered as a professional therapy dog or skilled companion candidate. If either of these options is not viable, the dog is moved into the FSD adoption program. After the dogs move from intake to the well kennels, they go through additional behavioral evaluations to gauge their potential as service dogs. Our full-time animal health manager is devoted to ensuring the dogs’ medical and nutritional needs are met. Our veterinary partners provide a 20% to 100% discount, depending on the service. Interested in donating your dog to Freedom Service Dogs to see if they have potential to be a service dog? Below is the criteria for adult dogs and puppies. Please note that puppies must be purebred and come from parentage with a history of good-to-excellent OFA ratings. Dogs that we accept into our program via shelters, rescue organizations, and private donations must be between the ages of 10 months and 2 years old. This age requirement helps ensure that the dogs have the longest working life possible after being placed with a client. Dogs that we accept into our program should weigh no more than 95 pounds at maturity. We do not have a minimum size requirement; however, we typically do not test dogs under 20 pounds at maturity. 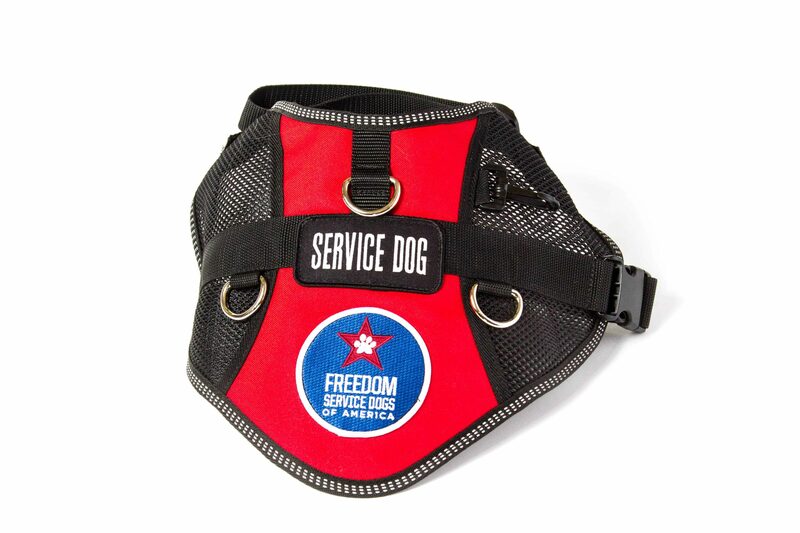 Freedom Service Dogs accepts both purebred and mixed-breed dogs. Labrador retrievers, golden retrievers, standard poodles, and mixes of these breeds have the highest success rates. Although loyal, very intelligent, hardworking, and popular, German shepherds typically are not successful in our program. We find that these dogs exhibit a higher rate of stress in our kennel environment, which limits their ability to train. In some cases, we will consider German shepherd mixes. Freedom Service Dogs has had several successful pit bull-type mixes as graduates, and due to our involvement in the shelter community, we frequently evaluate and accept these dogs. o We cannot accept pit bull-type dogs with cropped ears, short legs, overly muscular bodies, or whose overall appearance would cause the public to question the handler about the breed. Freedom Service Dogs cannot accept dogs that have a bite history against a human or another dog. Prey drive – Chasing, vocalizing, or lunging at smaller animals such as cats, rabbits, squirrels, and birds. Leash reactivity – Lunging at, vocalizing at, or becoming overly distracted by other dogs while on-leash. 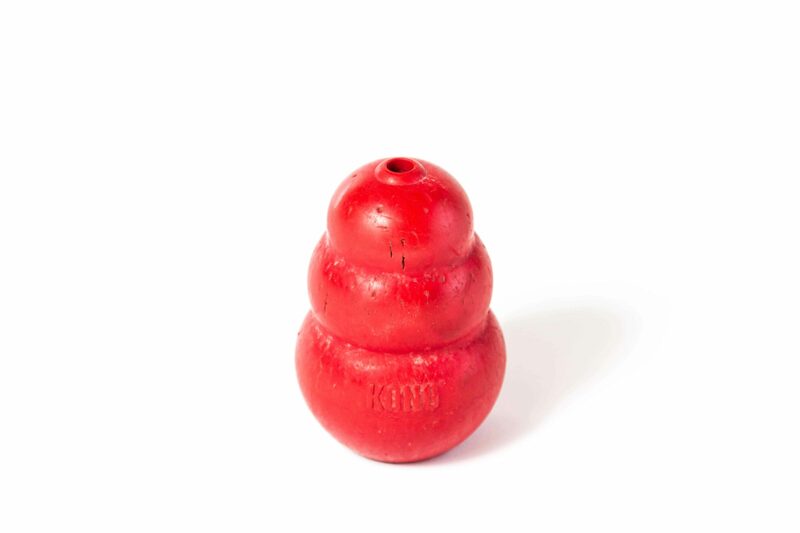 Resource guarding – Behaviors such as growling, snapping, freezing, and snarling when humans or other dogs approach a valued item, such as a toy or food. Separation anxiety – Extreme distress upon being left alone, characterized by excessive whining, barking, destructive behavior, and/or attempts to escape. Confinement anxiety – Extreme distress upon being put in a crate, kennel, or small room, characterized by excessive whining, barking, destructive behavior, and/or attempts to escape. Escape behavior – The ability to escape from crates, kennels, houses, or fences over 6’ tall. Fear – Startling, cowering, shaking, hiding, or attempting to flee in the presence of certain triggers. 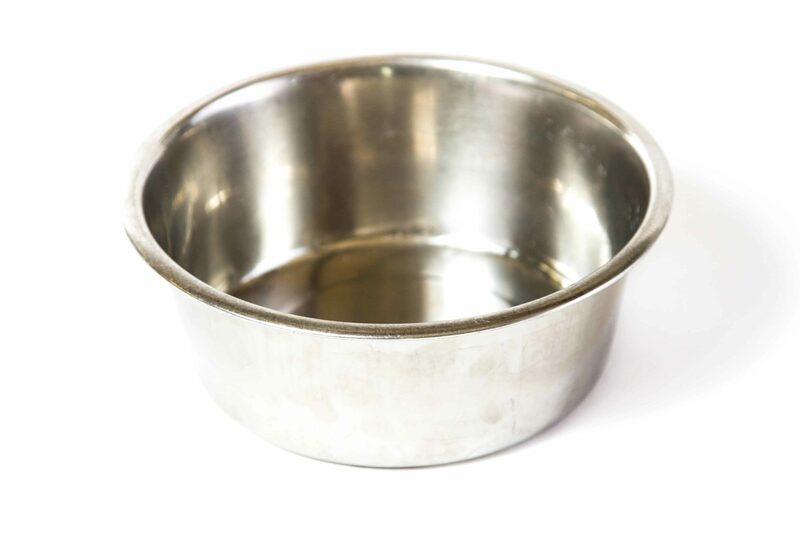 This can include thunder or other loud sounds, children, men, vehicles, new environments, or other dogs. Submissive urination – Urinating in response to a trigger that the dog perceives as threatening. Barrier reactivity – Vocalizing, lunging at, snarling, or growling at other dogs that are on the other side of a fence, crate, gate, or door. Overly energetic – Dogs that are unable to calm down after long periods in a quiet environment or are constantly busy and in need of interaction. Proof of a negative heartworm test completed in the past year. Additionally, the dog must have received heartworm-preventive medication monthly since the date of their last heartworm test. Proof of DA2PPV (distemper/parvovirus) and Bordetella vaccinations. If the dog is arriving on transport from out of state, Freedom Service Dogs requires a health certificate (completed no more than 30 days before transport) per the Colorado Department of Agriculture – Pet Animal Care Facilities Act (PACFA) regulations. If your dog meets the criteria above, and you are interested in learning more about donating your dog to Freedom Service Dogs, please contact Allison Peltier, Dog Intake Manager, at 303-922-6231 or apeltier@freedomservicedogs.org. 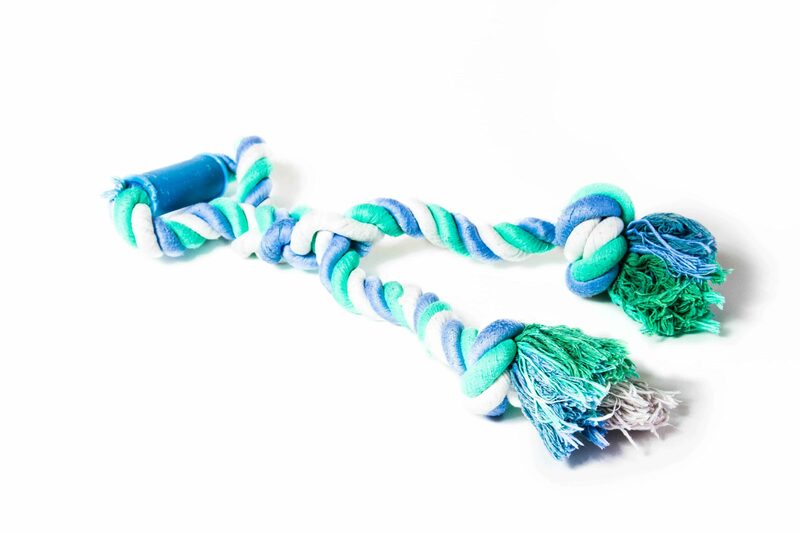 We believe in using positive reinforcement and clicker training to shape play behaviors (retrieve, tug, paw, touch, etc.) into helpful tasks. Freedom Service Dogs wag their tails while they work. The training for service dogs is approximately 6–9 months, depending on the needs of each client and the specific skills the dog is learning. For example, if a dog is providing assistance with walking or balance (these dogs are referred to as brace-and-balance service dogs), the training takes a little longer. The training for therapy dogs is approximately 5–7 months. Many dogs go through basic training with inmate dog trainers through our partnership with the Prison Trained K-9 Companion Program. Once dogs have their basic commands down and are officially on the path to become service dogs or professional therapy dogs, we start matching them with individuals on our waiting list. From there, the custom training begins so we can ensure each dog meets the unique needs of their human partner. For service dogs, the learning and training never stop. Even after they graduate with their human partners, we provide a lifetime of support and training to ensure the dogs are being the best service dogs they can be. Clients are required to recertify their assistance dogs on an annual basis to ensure the dog continues to serve as a service dog or professional therapy dog and behaves appropriately in public. Since 1987, Freedom Service Dogs has believed that shelter dogs have the ability to become amazing service dogs. 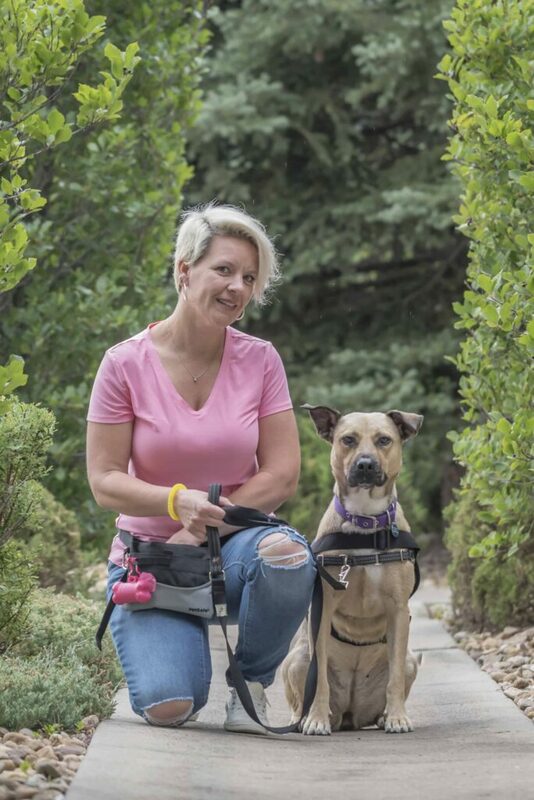 We are proud to partner with shelters and rescue groups to identify dogs that have the potential to make great service dogs, and the majority of the dogs we acquire for our training program come from shelters and rescues in Colorado and throughout the country. Who are our adoptable dogs? may require advanced behavior modification. All dogs that come through our doors receive a second chance at finding their calling in life, whether it’s as a service dog, a family pet, a hiking companion, or a lap warmer. Consider making a difference by adopting one of our wonderful career-change dogs! Please note that most of our adoptable dogs have not gone through service dog training. They are NOT service dogs. The amount of training they have had varies. To make them successful family pets, behavior modification may be required, and guidance from a professional trainer may be recommended. Our goal is to place dogs in permanent, loving homes. Please complete our Dog Adoption Application so we can assist you in finding a special, compatible companion to join your family. With this information, we can minimize the risk of a failed adoption. We do not adopt our dogs on a “first-come, first-served” basis, but rather try to match families to available dogs. Dogs are placed in permanent homes at our sole discretion. We may refuse to adopt to anyone without providing a specific reason. All dogs are the legal property of Freedom Service Dogs until the requisite Adoption Contract is signed, all requirements of the contract are met, and the adoption fee is received. Our dog adoption fees range from $300 to $800. Our adoption fees help to defray the costs of spaying/neutering, testing, and vaccinating our dogs, treatment of heartworm and other parasites, and any necessary surgeries, but these fees do not cover all our expenses. Our dogs are tested for parasites and heartworm, placed on heartworm preventative medication, and spayed or neutered before being adopted. This is a lengthy application, but the information you provide helps us make a well-informed decision, as well as the most ideal match. Please be as thorough as possible in your responses. We've all been adopted! Head over to Facebook to see all our cute faces and our forever homes!